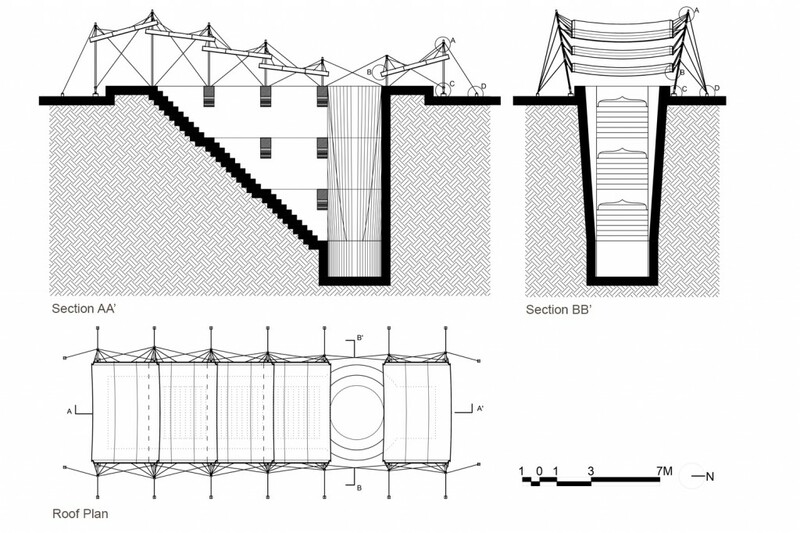 The design problem: To design a canopy to be used as a temporary shelter during April-September as a protection against sun and rain for two archaeologists working in a step well in the context of Ahmedabad. 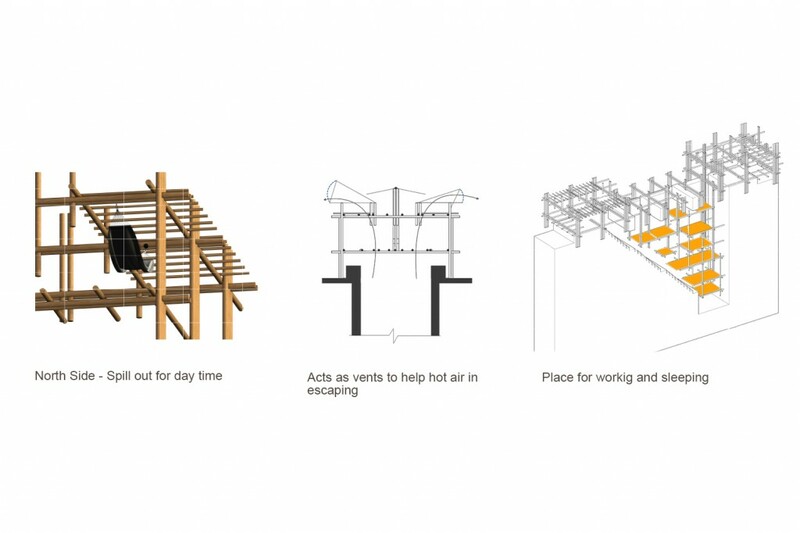 From the three winners, the first wins an internship opportunity at the Renzo Piano Studio. The attempt was to not only provide a basic shelter to protect the archaeologists and the assistant from the scorching heat of Ahmedabad and the heavy downpour that the region witnesses during the monsoon months of July to September, but to also facilitate them with tools that would help them carry out their research and repair work in the newly discovered brick structure. 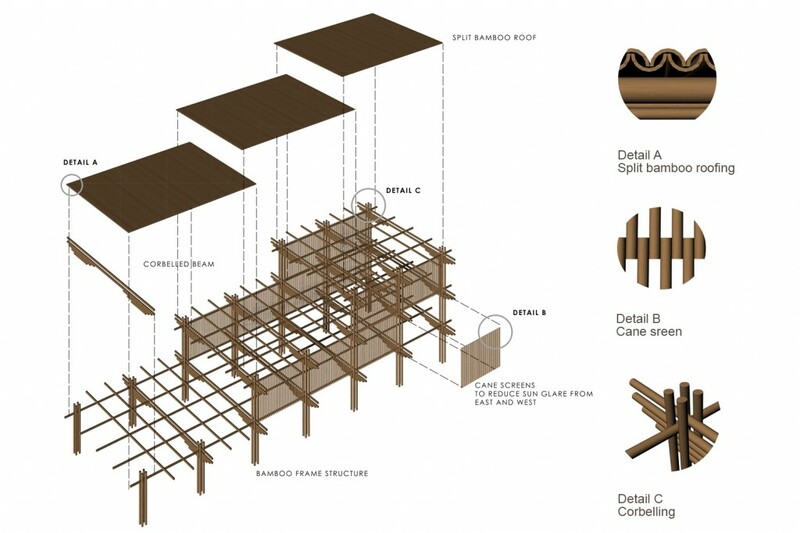 The modularity of the bamboo scaffolding has been used to create flexible spaces that could be adjusted and set according to the needs of the user. 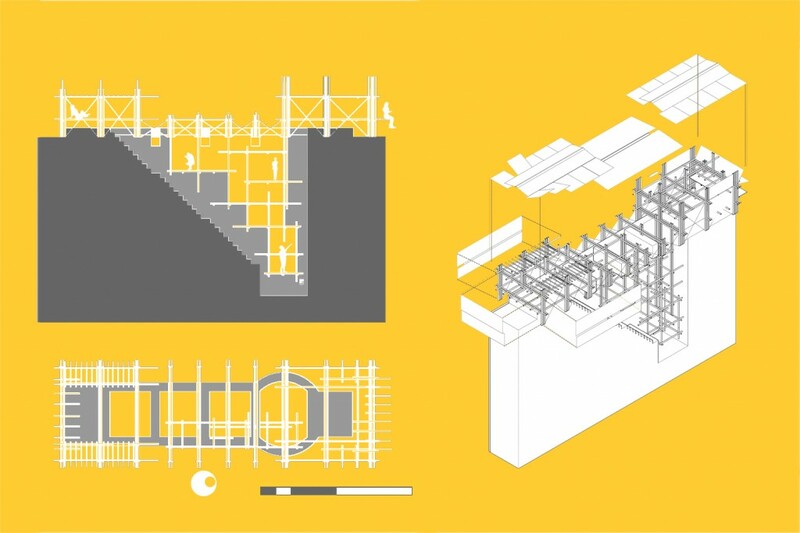 Here, the scaffolding idea was conceptualized in the program itself. Unlike other entries, the design was conceived more as a system than as a structure which also incorporates the component of time. The scaffolding elevates itself from the ground. 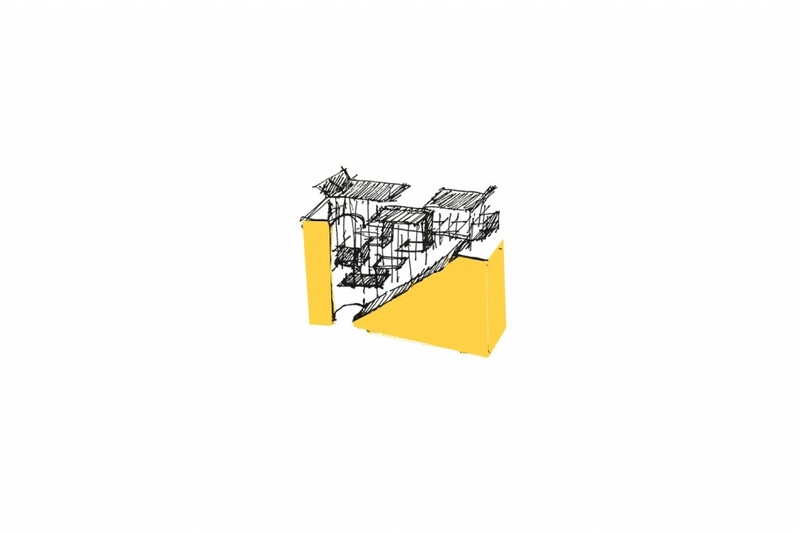 The main objective of the design was to respond to the stepwell in a very simple and local way without compromising the purpose and function of the structure. The shelter is conceptualized as an inverted version of the stepwell, thus ensuring light at the depths without compromising on sunshade. 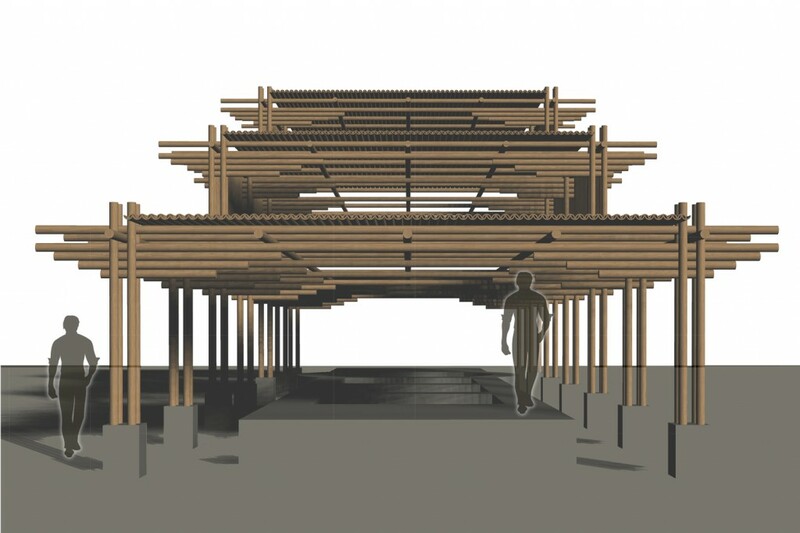 The material (Bamboo) and simple joineries suggest the temporary nature of the shelter. 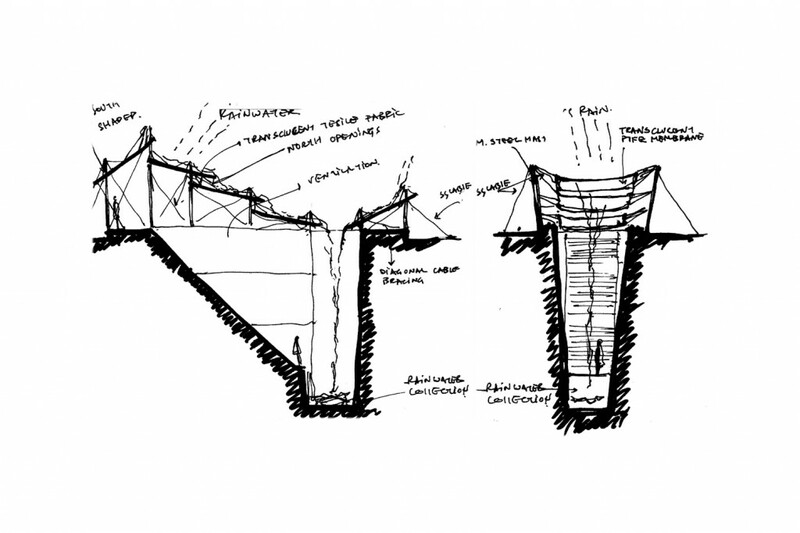 Here, unlike the first proposal, it starts from the roof and comes to the ground, which is conceived as a shelter. And it displayed the ability to roof the excavation. The key idea is to allow more light and ventilation while keeping the heat and the rain outside. 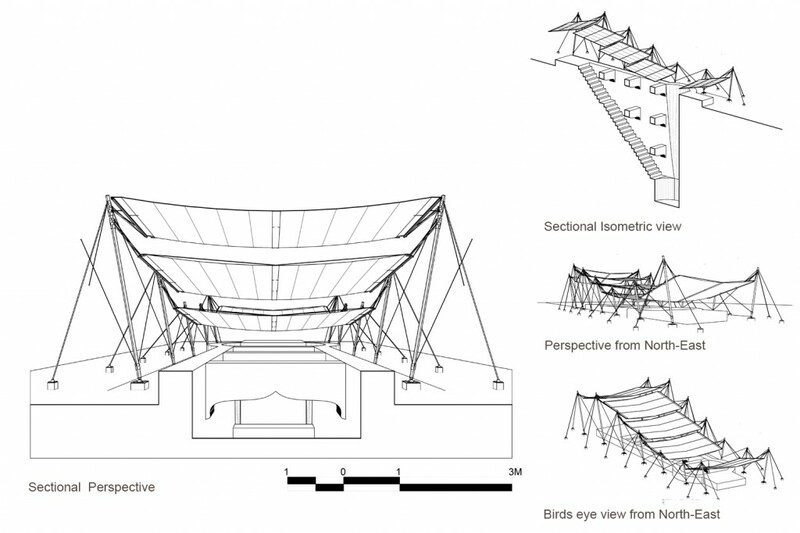 The shelter consists of 5 modules of 3.3x6m each. 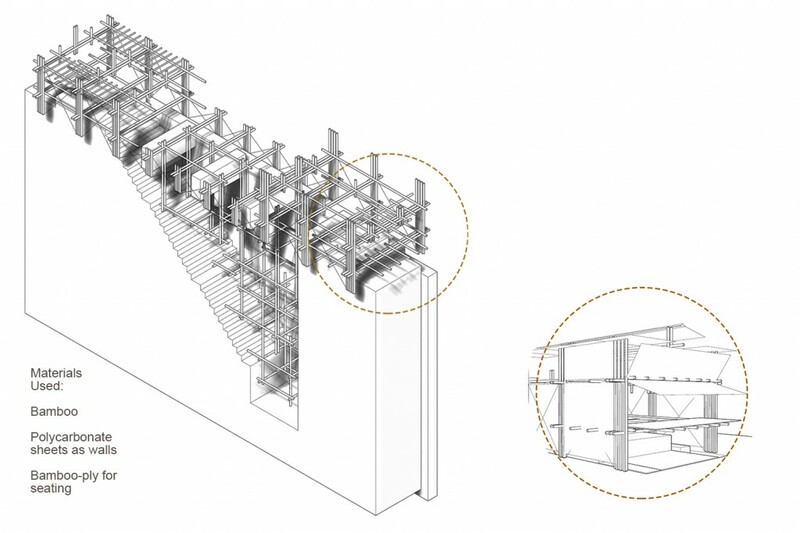 The modular system allows standardization of sizes, ease of transportation and execution. 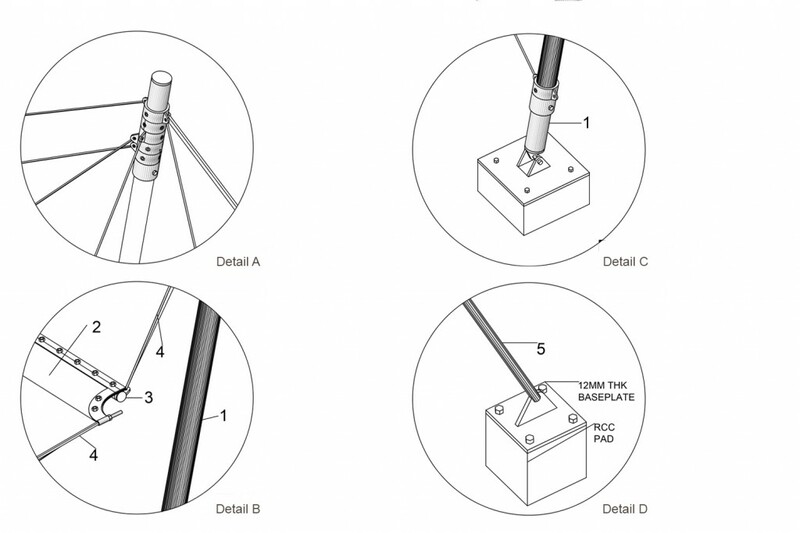 The module on the south is oriented differently as compared to the module in the north. 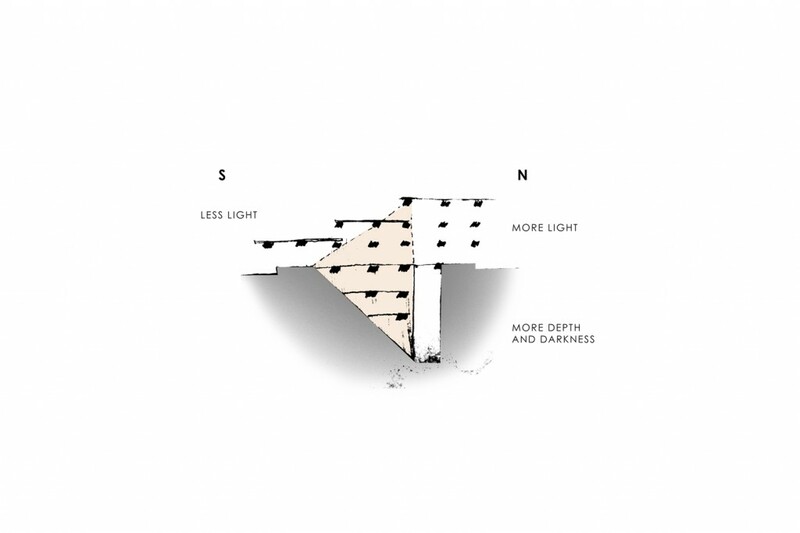 This allows space inside to be shaded from the south sun while allowing diffused light and ventilation. 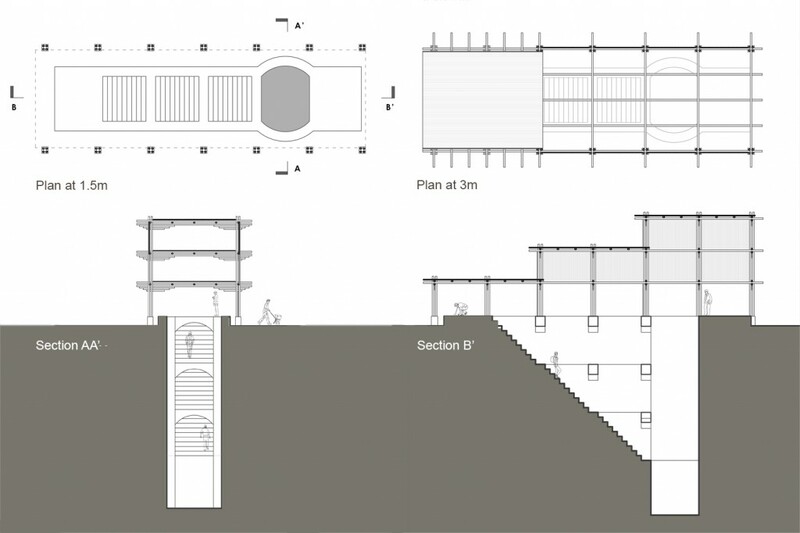 And the canopy of the step well has been designed such that it allows rain-water to get collected into the well. It showed sensitivity towards the program by using the essential amount of material and by creating a light shelter of fabric. At the same time, the making of shelter led to unnecessary complexities than the program needs. 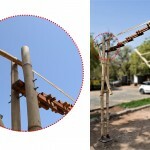 The jury found that a lot of extra constructional effort is required in order for such a system to be in place.